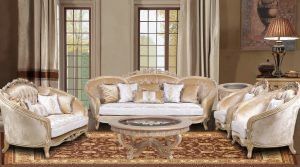 The Swarovski Luxury Italian Sofa Set. New Italian Empire inspired black lacquer collection decorated with gold and full lead crystal.Luxury Italian Style Bedroom Set Italian Bedroom furniture is by far the most luxurious most well crafted and most in demand for those that want a modern bedroom.Each piece is framed with handsome Carved & inlaid by hand. Construction from solid hardwoods with high lights gold and Swarovski.